Despite being the leader at the end of the final stage, he was doing his best to save fuel. Being the leader, generally means using more fuel as the leader is the first car to punch a hole in the air. With three laps to go in the race all four Stewart-Haas Racing machines had opened a gap to the back. They ran nose to tail as the field races three and four wide for 5th on back. Bowman got loose off turn four, spun across the banking and brought out the yellow. Heading to the green flag on the final restart, many cars bailed. Kevin Harvick, Ryan Blaney and Brad Keselowski all hit the pit lane as the field was coming to the green. Their cars were sputtering already, they had no chance to make it. Kurt Busch remained on the track, took the green and led into turn one. He nearly made it work. Busch fought off a charge from Almirola on the first portion of the white flag lap. The field wrecked behind them. No caution was thrown. He was still leading heading into turn three. By turn four, Kurt Busch was out of fuel. Aric Almirola drove around him on the outside and took the lead with just a few hundred feet to go. Kurt Busch coasted across the finish line. He finished in 14th. 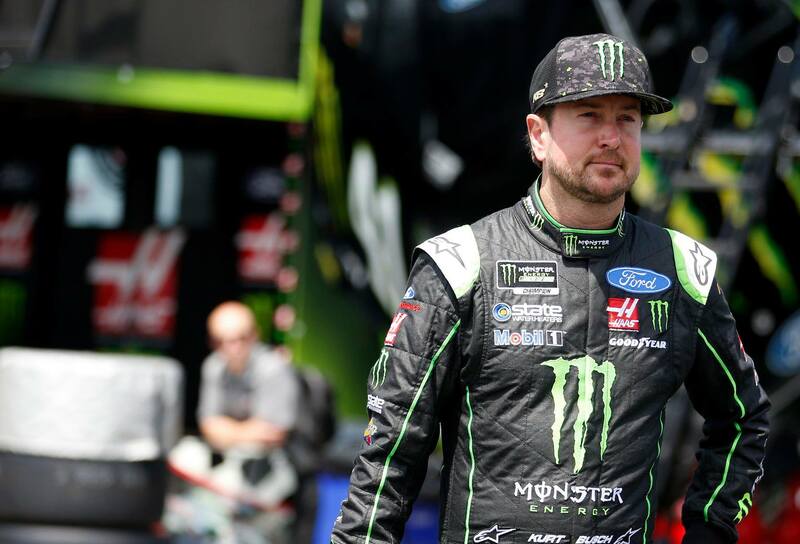 “There was two missed calls by NASCAR at the end,” Kurt Busch stated to NBC following the race at Talladega Superspeedway. “There was two cars dead in the water down there [this time]. Chase Elliott’s safety is of my concern as was the #32 car [Matt DiBenedetto].